Tune in this NPR segment to hear Rick Carr interview Tim Gowers and Tyler Neylon about the ongoing Elsevier boycott. 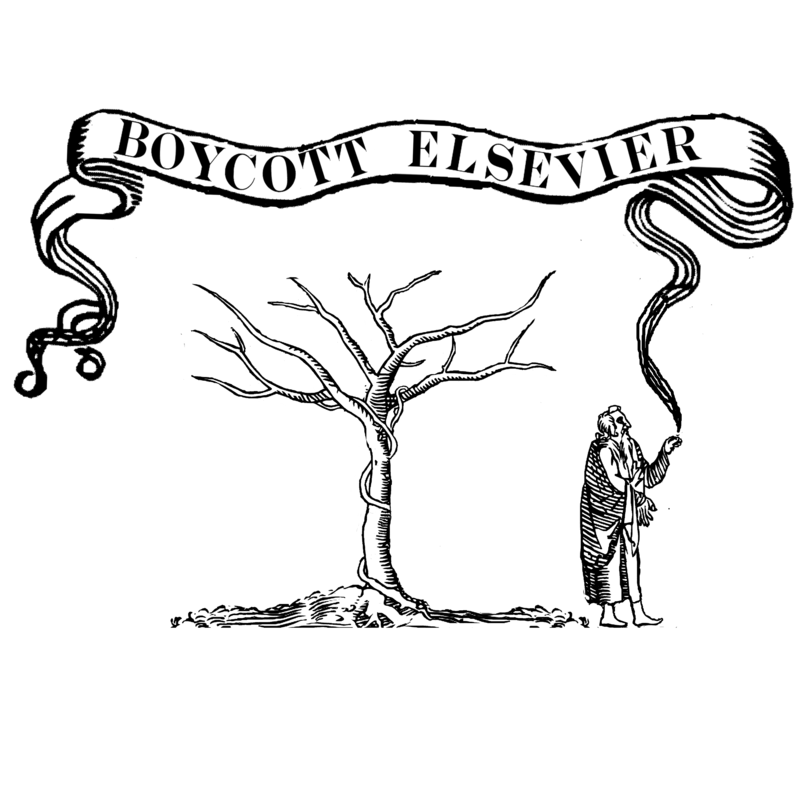 As the boycott against Elsevier gains momentum, some beautiful artwork has emerged in support of the movement. 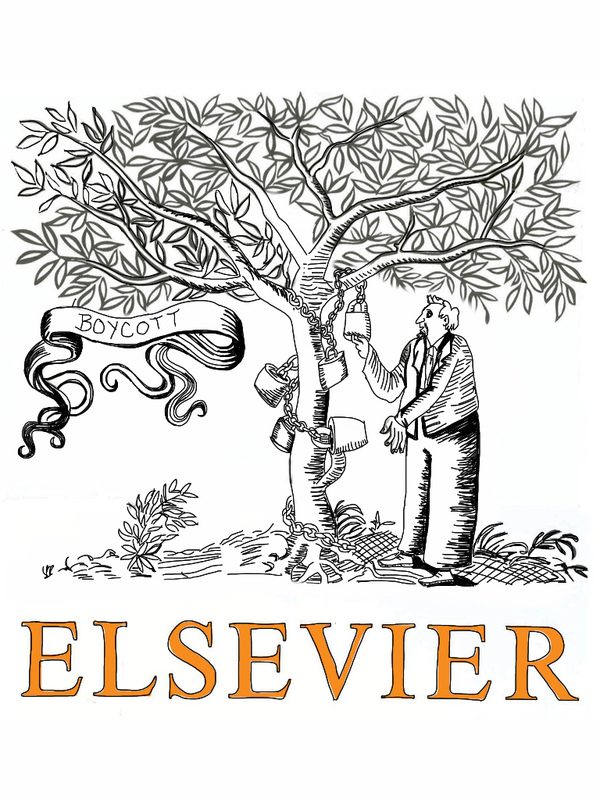 It occurs to me that it might help if there were a website somewhere, where mathematicians who have decided not to contribute in any way to Elsevier journals could sign their names electronically. I think that some people would be encouraged to take a stand if they could see that many others were already doing so, and that it would be a good way of making that stand public. Perhaps such a site already exists, in which case I’d like to hear about it and add my name. If it doesn’t, it should be pretty easy to set up, but way beyond my competence I’m afraid. Is there anyone out there who feels like doing it? Since its launch on January 22, 2012, the boycott has gained extraordinary momentum and has expanded well beyond the initial audience of mathematicians and even beyond the world of academia into mainstream media. 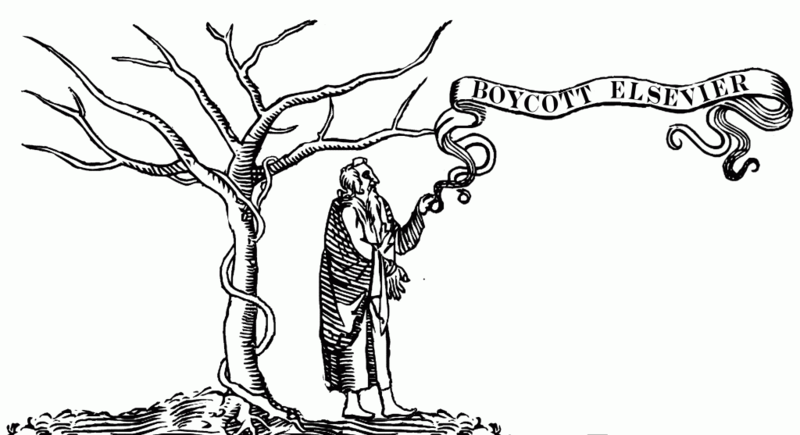 Thank you to everyone who has participated in the boycott in any form.